I am surprised to see youth move from Kamuli district to Kampala for odd jobs, yet their place is richly endowed. I had opportunity to move around two sub – counties of Kamuli that is Nankulyaku and Nabwigulu and I was shocked to see how politicians have failed to develop areas which should actually be the food baskets of Uganda. If I were a Chairman LC V, together with my Council, I would see how to raise about shsh300 billion to turn Kamuli into a model district of Uganda. Kamuli from my observation is one place where a tractor hire service at sub – county level can make good sense. Much as there are all the signs of land that is agriculturally productive, the district still has so many households who put up in grass thatched houses. From my observation, I was convinced that many people in Kamuli are hard working as you see good signs of land use though in many instances, there are signs of poor extension services. As I moved around for example, I saw a garden where the owner planted Eucalyptus trees where they should not be given that these trees are known for ‘creating desert conditions’ and starving other crops. I moved to the house where I thought the owner of the garden stays so that I give him free professional advice to remove the Eucalyptus trees and possibly plant fruit trees. After greeting the family, I went straight to the point which had made a stranger call at the household. I explained the matter, and the owner of the household told me the trees belonged to someone else. However, I drove my point home, and hopefully, the owner will be informed of the danger that these trees will have on the garden and the neighbours if they are not removed. What I wish to put out at this point is that Government is employing people who are in many instances not helping the people. I did not need a salary to tell these people the danger of Eucalyptus trees in that environment. I was shocked to see a number of households put the Maize harvested on bare ground. Surely, in this day in Uganda, these methods simply cannot work. One such a farmer have a sizable store of Maize grain, but it really disturbs to see such situation going on, where if possible such a one would have an infrastructure put up for him and he meets periodical payments as enforcement to see to quality food. From my personal observation, Kamuli is a sleeping giant. I may not blame the district administration as given the resources at their disposal they may think they are doing a lot. However, as a rural economist and one who understands the dynamics of society, I need just shs 300 billion to turn Kamuli into a model district in Uganda. Some people are in NRM deceiving Ugandans that they are patriotic, yet they are seriously involved in the looting of the country resources! There is one unfortunate development in Uganda in that if you had shs 300 billion for Kamuli now, it may not be surprising that the people get value for money of shs 100 billion with 2/3 eaten up in lousy studies, travels, seminars and workshops. This is greatly responsible for project failures. What do I need the shs 300 billion for? 1. Get the people to understand the logic and practical use of Community Dialogue as the means they can identify their own problems and collectively look for solutions while at the same time they are able to work as a group or communally. 2. Get the people convinced that they can move from their status to better status given set targets, one of which is better housing, affordability of meeting children needs to mention but a few. 3. I would involve as many as possible into a housing cooperative to see that as a cooperative arrangement, they are helped to put up better accommodation as supported by revenues to be realized from the management of their agricultural enterprises in a better and modern way. 4. I would proceed to identify the viable enterprises into which these people can gainfully be involved given the potential to be created in adding value to what can be produced in the area. 5. Buy tractors at least one per sub - county though more tractors may be an advantage. 6. There is need to put up centres for grafted fruit trees among which you may have Avocado, Mangoes, Jack fruit, Passion fruit, Pawpaws to mention a few. These would be selected on ground that you can get capacity to add value to them through putting up agro-processing capacity. 7. Get the farmers advised on how to manage the soil. There is all the evidence on ground that a lot of soil is wasted in soil erosion. It also looks like many of these farmers keep on planting one crop enterprise each and every season, this more so on the side of maize a practice that has to be discouraged. 8. There is need to promote crop and animal husbandry as a joint venture by all households. It is clear that Tsetse flies are a problem as evidenced from the traps set which are clearly visible as one moves around. What this calls for is more effort to see the fly eradicated from the area. 9. The promotion of Dairy farming calls for a Dairy collecting centre where the farmers can have their milk bought and value added as may be possible. 10. The farmers are having a raw deal on Maize enterprise. What ought to be done is to see that better methods are used to harvest a bigger crop, this should then be supported by capacity to have Maize milled to flour which the farmer can sell and the would be waste from the Maize (Maize brand) can be used is an Animal Feeds undertaking. 11. The feeds made locally can go a step further in seeing to increased income of the people as they will be a back up for the poultry and animal enterprises. 12. It is also noted that a lot of rain water runs off such that in the dry season the farmers have no capacity to irrigate their farms. There is need to use local methods for harvesting rain water which can be used when the weather is bad. 13. The plants that can be used in providing the substitute to diesel have a good potential and many of these don’t need good agricultural land to survive. 14. There is need to improve rural roads to have them passable as many are in bad shape during the rainy season. This can be done using community labour for a number of feeder roads as the drainage of the water is the bigger problem. 15. It is also noted that many youth are migrating from Kamuli to urban centres including Kampala and its suburbs and some are victims of the fires that keep burning property in markets yet at home they leave land which is productive and can be harnessed for better productivity. These youth even the professional caliber can all be attracted back home to develop the land and also apply their skills to improving the welfare of the community. 16. Kamuli Hospital infrastructure looks good from the outlook, what may be the problem is enough man power, equipment and drugs as well as motivation of staff. If money can be put into these areas, the Hospital should be able to deliver in line with the growth and development of the areas. 17. I noted the children population, and I think it is timely to see that Government Aided Primary Schools actually live up to the expectation of good primary school education. What I noted is that given that many households grow some food; this is one district where parents can be brought on board to contribute food which can feed the children. Secondly, it is not new for Government to put money in primary schools. When we were in school in the 60’s and 70’s, Governments were giving us free exercise books as well as supplying schools with textbooks and scholastic materials, but parents were picking part of the bill. There is no need to talk much about free education, as quality free education is impossible in Uganda’s circumstances. What has to be done is get as many people be in income earning undertakings where they are able to officially pick part of the bill to see their children in school, and fortunately, this is very possible in Kamuli given the land resource which is abundant for many families. 18. When you want to see the problem of Uganda given a youth explosion, just organize a free function and have good music there. The children and youth are a great problem and there is urgent need to develop their skills for employment early. These children understand music so well and some are able to make own compositions, but surely, they will not earn from dancing. May be one can use forums with such music periodically to mobilize them into what skills can help them be valuable citizens of Uganda. To sum up, Kamuli district is richly endowed and it is one district where the boosting of incomes for the local people can be done over a short time. There is need to see that enough extension workers are in place both for crops and the animal undertakings and that these people do their work. The source of the shs 300 billion need not be Government money. If the Kamuli district Council could get that money and not have it into a few politician’s stomachs, you can be sure Kamuli can easily be the leading district in Uganda given the welfare indicators. What surprises me is how selfish the few elite politicians see development negatively. To them development is sub-dividing existing districts, increase the administration budgets and see the people poorly by taxing them to support the newly created districts as these politicians grow bellies yet the people are impoverished on. It is shameful that some of these legislators are advocating for a return of Graduated tax. A person who advocates for a return of graduated tax is a curse to the people of Uganda. We need to be focused. I for one see opportunities as do exist in Kamuli, but you find people in Government thinking about pouring billion of money so that the graduates go into petty trade. We have countries where Mangoes are the basic source of foreign exchange, go to Kamuli and you will find most crops can survive. Why not create viable enterprises with Government involvement and have many of the youth involved in them? These youth can grow crops knowing there is value for what they produce and you can be sure, they will not keep migrating to Kampala to make chapati’s. What has made many of our leaders fail is the wish to exploit the country’s resources and benefit that is why we continually see billions paid to a few individuals with questionable deals, which money would if invested wisely boos a whole district and create a lot of value as well as strengthen our depreciating shilling. To our politicians, there is need to focus on the development of our people. It is possible, let us stop being selfish, let us stop supporting one person or another because he supports NRM. I for one have never supported NRM and will never, but I keep giving free Ideas to Government for which I have never got a token, but have hope that those who see my work appreciate and only wish people in Government were focused to address the development needs, there would not be any need to fake statistics. I can not believe that we remain a beggar country when we have rich areas to exploit like Kamuli district. I must say that the planting of power transmission poles in the Nankulyaku sub – county is a positive innovation which should go hand in hand with a Housing Cooperative initiative which means that the currently grass thatched houses can change to permanent houses which can be able to use hydro power. It is however important to address the matter of poles along the line leading to Kamuli which are about to fall down, because if they fall the damage that may include deaths is undesirable. It borders the districts of Iganga in the East, Jinja in the south, Kayunga in the west, Soroti in the north and Pallisa in the north-east. In 1974, the provincial Administration Kamuli was part of North Busoga province. North Busoga Province became Kamuli District in 1980. At Independence, Busoga District comprised of the present day Bugiri, Iganga, Kamuli, Jinja and Mayuge Districts. The main language spoken is Lusoga. The district has over 712,079 people, 365,232 of which are female and 346,847 are male. There Agriculture with main emphasis on food crops such as millet, potatoes, beans, Simsim and sunflower. Cash crops like cotton, coffee and Sugar cane. There fruits and vegetables like Tomatoes, vegetables and Onions. The district has a total of 327 primary schools with 301 government, 14 private and 12 community schools. For secondary schools, the district has over 56 schools, 15 are government, 23 private and 18 community. The district has 8 Government dispensaries (II), 17 health centres (III) at county, 5 health centres (IV) at sub-district with no hospital. More so, it has 23 private/NGO dispensaries, 13 clinics and no health centre (III) and hospital. There is also Kamuli Mission Hospital with 153 beds. 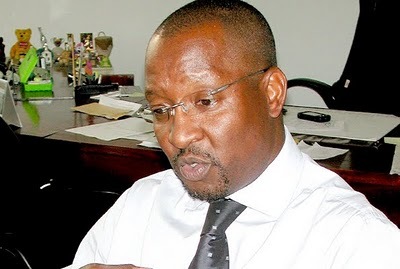 Richard Byarugaba the new NSSF boss may only save his credibility if he 'professionally' handles instructions from above, which is one reason why that seat is hot. It is a fact that many people who have taken up positions in big jobs have failed simply because they are compromised by instructions from above yet when in case of problems they are to go alone to Luzira. For a man who is a Managing Director, why not ask who ever the instruction from above is to put his instructions in writing? If he or she cannot, then you can not act on empty space; simple like that. Secondly, even if the instructions are from above, why not convene an immediate meeting of the Board and if so, even let the word leak to the press? A man who went to school should not sacrifice himself and end up going to Luzira because of instructions from above. The standing orders are the norm to be followed whether it is who as long as such a one is not above the law. As for my friend Byarugaba, he is taking up a job where anybody of average managerial capacity can run as long as the group effort of staff and the Board is well utilised. The moment my friend goes it alone, the same fate will follow him. Nothing like operating on instructions from above when the one giving them has not put it in writing, and it is simple to get the Board and or other Government organs intervene,and that is how difficult politicians who assume that once they are in office laws and standing orders are not necessary, and least bothered about soiling the hard won repute of others as long as long as their selfish interests are met. MUSEVENI WANTS WORKERS' SAVINGS FOR MPs CHAMBER! Chris Baryomunsi, MP for Kinkizi County East confirmed the NSSF option and the possibility of borrowing from the savings body. President Museveni has asked Finance Minister Maria Kiwanuka to look into the possibility of borrowing more than Shs300 billion from the National Social Security Fund to pay for construction of a new Parliament chamber. The President’s directive followed a meeting between him and the Parliamentary Commission on August 4 at State House, Entebbe, where commissioners said there is no money for the proposed expansion works to accommodate a Parliament that has ballooned to more than 375 members. With the Finance minister yet to respond, Shadow Finance Minister Geoffrey Ekanya, whose docket handles social security, has demanded that the proposed construction of a new chamber be delayed. 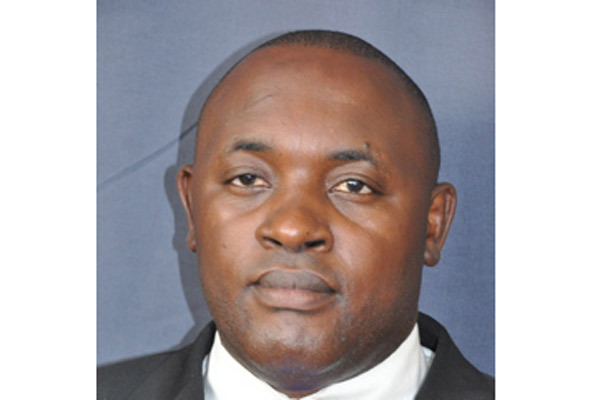 He warned that it would be ill-advised to use NSSF money to finance such a venture. The Fund holds more than Shs2 trillion in savings belonging to more than 45,000 private sector workers. Mr Ekanya said some MPs “don’t even attend Parliament, they only come when the President is around and we have a conference hall.” “In any case, it’s improper to borrow money from NSSF when we are liberalising the pension sector,” he added. Explaining how they arrived at the Fund’s money, Mr Okupa said: “We were told that the Dodoma Parliament [in Tanzania] was constructed using money borrowed from NSSF. But we are going to look at other sources.” The Director of Finance and Administration in Parliament, Mr Okello Obabaro, told the committee that unless the government provides Shs25 billion to finance the ongoing car park project, the contractor will not proceed. In 2009, Parliament stopped a proposal by Uganda Revenue Authority to borrow Shs20.6 billion from NSSF for construction of its headquarters in Nakawa, a Kampala suburb, for fear that the money could be abused. Ms Kiwanuka was not available for comment.